Millie- I also use the liquid from caramelizing onions (which I do in huge batches and then freeze). I reduce the liquid, just like when I reduce stocks for demi glace’. Then freeze in ice cube trays fro adding to greens and other di8shes. It’s been Kombucha week all up on Naturally Loriel lately. First, we walked through a really easy tutorial on how to make kombucha at home. Then we infused it with elderberries and lavender to create an immune boosting elixir that makes the perfect concoction to be consuming at this time of the year. And finally, we’re ending this Kombucha party with a roundup of some of the most delicious kombucha recipes around the crunchy web-sphere. The second ferment or flavoring kombucha happens when you take already brewed kombucha and infuse it with fruits, herbs, or flowers. The fruit can be in chunk form, puree, or as a juice. You let the fruit and the brewed kombucha ferment for a few days, and the result is a fizzy, probiotic-rich drink that has taken on the taste of whatever you’ve chosen to put in the bottle. The amount of sugar (fruit chunks, puree, and/or juice) plays a huge role in how fizzy your second ferment will be. More fruit, more fizz. Less fruit, less fizz. Having quality flip top bottles also helps in the fizzy-ness factor. 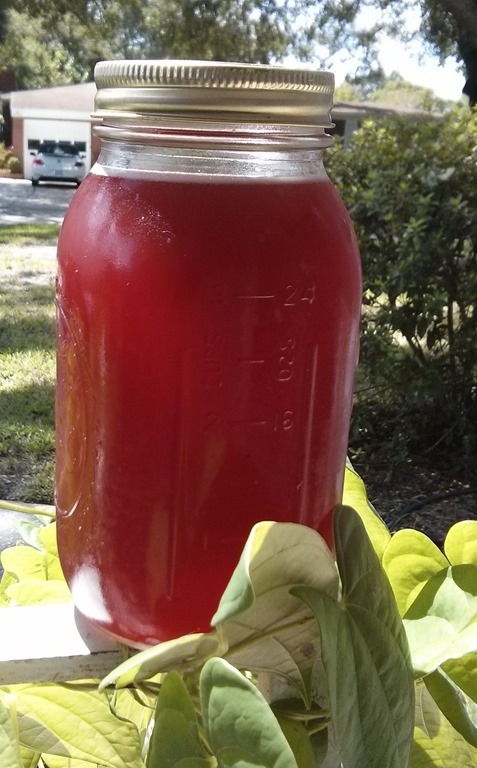 Flavoring your own homemade kombucha can take a little bit of trial and error to find that perfect taste but, it’s always fun when you hit the golden flavor that makes you gobble it up in one sitting. When we’re not flavoring our kombucha with elderberries in the Adams’ household, we love simple concoctions like guava and strawberry, simple “lemonade” kombucha, and berries with lemon. Below in the printable recipe card, you’ll find a few of my personal favorite recipes and then scroll below to find 15 other ways to flavor your kombucha from some of my favorite crunchy bloggers. Often, the success of a great dish comes down to heat. Gorgeously seared steak, perfect stir-fry, or properly al dente pasta all rely on a big flame and high heat. But here’s a secret: Sometimes, your cooking secret weapon is a cold pot or pan. While you’d never lay an expensive porterhouse in a chilly pan and then turn on the flame (the steak would eventually cook through, but it’d turn out gray and pallid, not golden-brown and caramelized), there are a few times when starting the cooking process with a cold pan is a must. Beginning with a cold pan allows you to better control the temperature, and lets you slowly build layers of flavor, rather than shocking your ingredients. 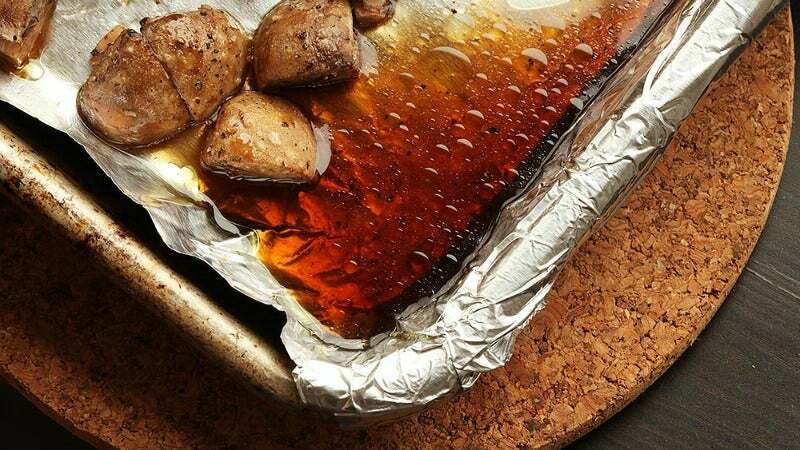 These are the cooking techniques that call for cold pans. Add a raw piece of bacon to a hot pan, and it’ll cook up in no time flat—without rendering any of the fat, unfortunately. That’s fine if you’re the type who likes gumming on bacon fat, but, ’round here, we like our cured pork belly crispy. The way to shatteringly crisp bacon is fat in the pan, not on the strip. Plus, if you take things low and slow when cooking bacon, you’ll be rewarded with a panful of rendered bacon fat for later use—not a bad flavor tool to have in your arsenal. Garlic confit is made by slowly heating oil with whole cloves of garlic, then letting the mixture cool down together. The result is two-fold: a garlicky flavored oil and tender cloves of garlic perfect for spreading on toast or adding to stir-fries and sauces. The key to developing this flavor is to let the garlic heat up with the oil—so start cold and let it all come together at once. You also don’t want to get the oil to its smoking point; a cold pan is extra insurance against that. Seared Duck Breast with Mustard Greens, Turnips, and Radishes. Photo: Christopher Testani. If you add a skin-on duck breast or chicken thigh to a screaming hot pan, the skin will contract quickly, tightening up and shrinking. This is not good. “You don’t want the skin to seize up before the fat has rendered,” explains Claire Saffitz, BA‘s associate food editor. Seized-up skin means chewy, not crispy—and you know we’re all about the crispy skin. This is especially important for duck breast, which has a very thick layer of fat. Start cold, and take it easy: This is no place to crank the heat. Tiny toppers like sesame seeds and spices like cumin or fennel taste better toasted—this recipe for Chile-Cumin Lamb Meatballs is proof. Unfortunately, they also cook quickly. If you add them to a pan that’s already hot, they’ll burn and blacken before toasting from the inside out. Another tip: Remove the seeds or spices from the pan as soon as they’re done; if you leave them in the now-hot pan, they will overcook. The BA test kitchen staff suggests starting boiled eggs in cold water. If you drop a cold, straight-from-the-fridge egg into a pot of boiling water, the extreme temperature change will likely cause the shell to crack, causing the egg white to bubble out of the fissure. This is not the biggest deal in the world, sure, but when presentation matters, you’ll want to take a little extra care. If you’ve ever made brown butter, you know that it takes just seconds to go from that golden, nutty color to black and burned. (If you haven’t made brown butter, may we suggest cooking these Scallops with Herbed Brown Butter immediately?) Don’t make the process any harder on yourself by shocking the butter in a ripping hot pan. The proper technique is to melt the butter slowly and patiently wait, swirling the pan periodically, as the milk solids toast and become the color of hazelnuts (psst—that’s where the French term for brown butter, beurre noisette, comes from). I rarely advertise, but I LOVE this product! 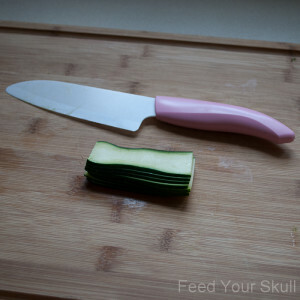 I have been cutting zucchini “noodles’ by hand with a knife for years, this makes it SO quick and easy! We love traditional pasta, but lately we’ve noticed a new breed of noodles. We’re not talking about rice, corn, or quinoa spaghetti—we’re talking about spiralized vegetables. The spiralizer is an inexpensive tool (one of the most popular brands retails for $39.95) that turns fresh veggies into faux-noodles (zoodles, if you will, but we won’t). It isn’t just for the carb-averse; everyone from home cooks to restaurant chefs are spiralizing. Most models are about the size of a large toaster and function like a giant pencil sharpener. A firm, peeled veggie is held in place with a clamp over the grinder, and as the vegetable disappears into the hold, the cook uses a hand crank to make the gears work. The result is a pile of extra-long, gently curled ribbons. Interesting, but what makes this tool so great? Restaurant chefs, who have mountains of chopping and slicing to slog through, have a lot to love in the spiralizer. Amanda Cohen, chef and owner of the vegetarian restaurant Dirt Candy in New York City, first encountered the tool when working at an all-raw restaurant. “It made some boring jobs a lot easier,” she explains. 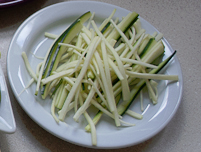 Dirt Candy now frequently serves spiralized vegetables (using the Benriner and Kaiten models). Chef Joshua McFadden of Ava Gene‘s in Portland, first began using aTsumakirikun spiralizer because, “I wanted a way to make perfect consistent cuts of pumpkin for a salad.” The more commonplace mandoline slicer performs the same task, but the spiralizer produces prettier results. Jonah Miller, chef and owner of Huertas, also in NYC, just may be the tool’s biggest fan. “I think we use it more than any other restaurant in the city,” he says, adding that they used their spiralizer so much, they added a drill function to cut down on the manual cranking. But it’s not just about the functionality. 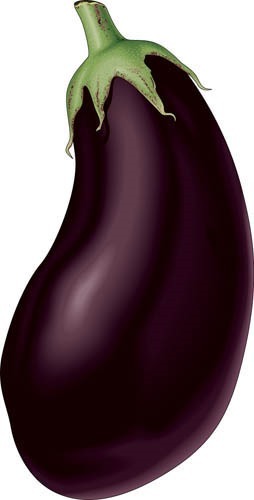 Says Cohen: ”People are conditioned to be dismissive about vegetables so you kind of have to sneak up on them and surprise them…in ways they aren’t anticipating.” For a culture of eaters who grew up with meat as the star of the show and vegetables playing second fiddle, eating a veggie-forward meal can be a radical change. If you don’t eat grains you’re inevitably going to run into a frustrating dilemma: What to cook when you miss pasta? Ali Maffucci, the author of the blog Inspiralized and the cookbook Inspiralized, began sharing spiralized recipes on her blog in June 2013. Her Italian-American heritage and love of pasta clashed with her quest for a healthier, slimmer lifestyle. She began by substituting spiralized vegetables for noodles, and now uses them for salads, casseroles, and even “rice” (she uses a food processor to pulverize the spiralized veggies). Jasmine and Melissa Hemsley, of the UK-based blog and clean-eating lifestyle brand Hemsley + Hemsley avoid all grains. Bored with the texture of peeled vegetables, they purchased a spiralizer and began experimenting. It’s now a main feature of their blog and cookbook. …Okay, But How Does It Taste? “I still love pasta,” says Maffucci, who doesn’t keep grain-based noodles in the house. And, “No, [spiralized vegetables] don’t taste ‘the same’ as pasta.” But, she continues, a bowl of plain pasta is nothing spectacular on its own, either: What makes it shine are the toppings: Add meat, cheese, and a sauce to anything, and you’ve got a tasty dinner. Delicious as they are, vegetables are so texturally different from grains that you’ll never really trick yourself into thinking they’re pasta.